So you are looking for family beach portraits? Perhaps a little something different than the sit here, look here, say cheese type photography you grew up with? Well, we get it and we understand what you are looking for! We get candid, and we do it well. Don't get me wrong, great candid stuff is ofter posed, but we understand how to make it happen. Kids aren't gonna just jump out of the car and start doing cute stuff for the camera, let's be honest. Not to say they can't, but it is just not normal behavior to act like you have been looking at Pinterest all day, especially for a baby! It is all about putting the child in the right situation and then letting their little lights shine. We work as a team and we are great at making the candid stuff happen. A huge thanks to our precious little angel from last nights sunset session for allowing us to work with her and her awesome family. She was a blast and boy did her little light shine when it came to the candid stuff. 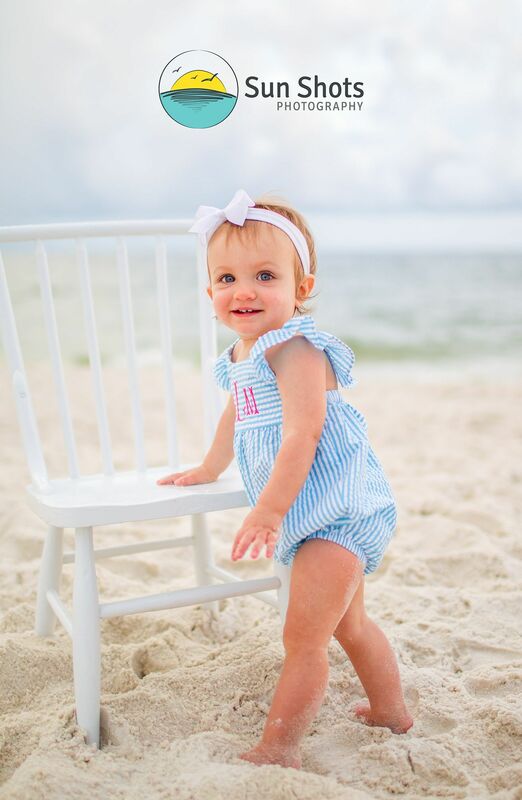 From picking up seashells to dancing around the chair, she was a superstar all the way around. That is the magical thing about children and photography, they will shine if you let them. Kids just want to have fun and typical photographers aren't. That is where we shine because we understand fun and actually join in on the child's game. We are not afraid to get sandy and have a good time, and it shows in our work. We would love to share our art with your family and have limited availability so please get in touch with us today! Check out more candid beach portraits of our Candid Family Beach Portraits and call us anytime at (251) 968-2119!